Most of our agents have been working closely with Krøll for more than 25 years and therefore have extensive know-how and experience of Krøll's products. 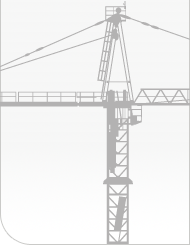 Along with their knowledge of local conditions and practices, this means that they can provide sound, professional advice as well as ideal solutions when it comes to Krøll cranes, local transport, erection works and service. Kindly contact your local agent for any enquiries or contact Krøll Cranes A/S directly if there is no agent in your region.